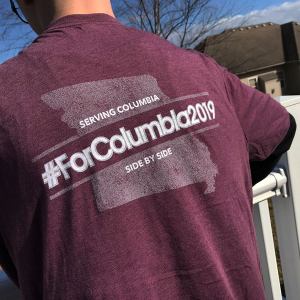 This year, we are hosting Prayer Hubs in each of Columbia’s six wards on the day of service, so faithful Christians can volunteer to intercede on behalf of our city and for the successful completion of ForColumbia 2019. Without God working through us, we can accomplish nothing of eternal value (John 15:5) which is why we think your day will be well spent serving at this Prayer Hub. Afterwards, prayer hub volunteers are encouraged to join others for lunch at a nearby lunch site.